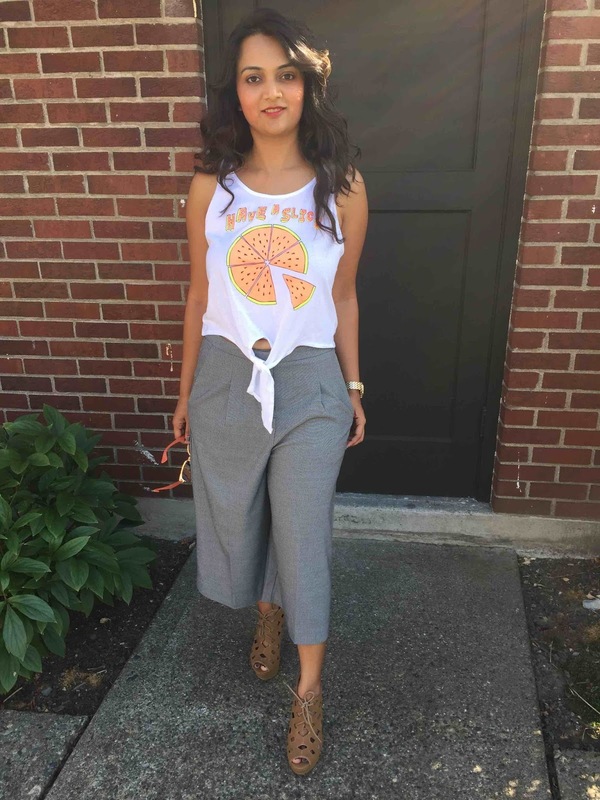 When I first tried these culottes I was very skeptical about this style as I rarely wear pants. 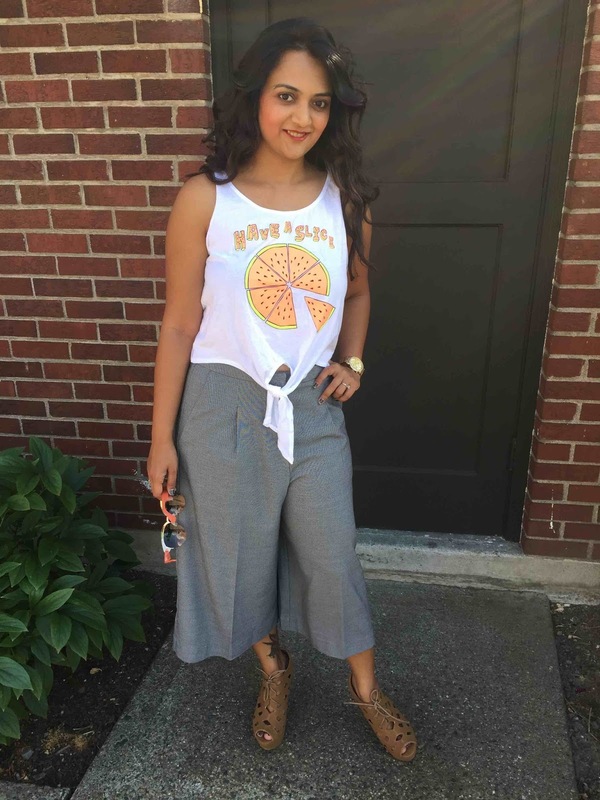 Culottes are wide legged pants which are very comfortable. Yet they are tricky to style, yes anything different from regular wear is right? 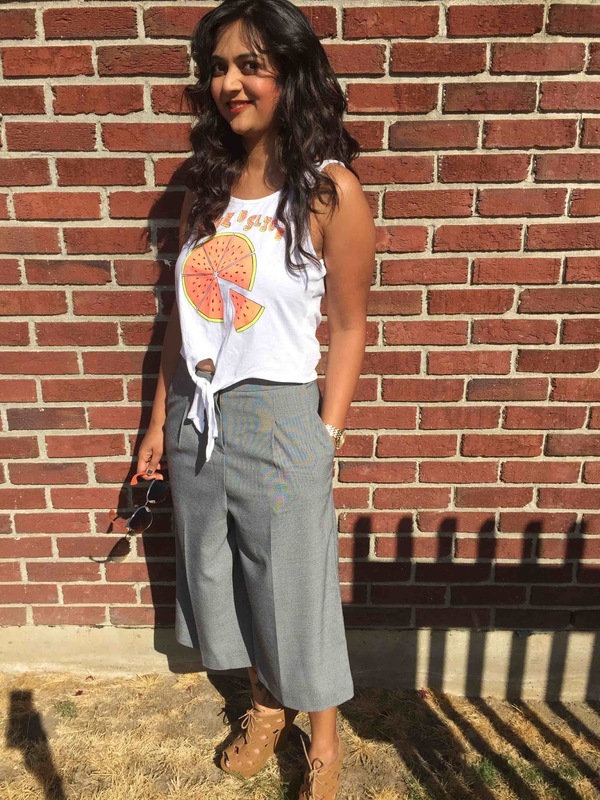 Culottes look great on women with thin legs or as we sometimes say chicken legs. Since they are wide they help you cover up the actual thin frame and add some width. 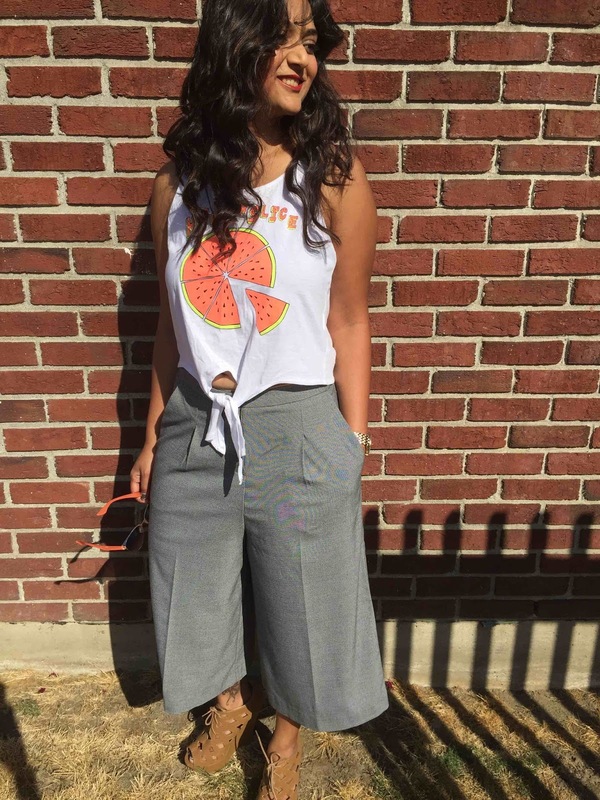 Culottes look perfect on tall women as well. Now what about those are neither tall nor blessed with toned legs, like me. We should avoid wearing Culottes- is the wrong answer. Just because we aren't so called "perfect" should not stop us from being experimental in Fashion. We just need to observe and learn how to style according to our body type. 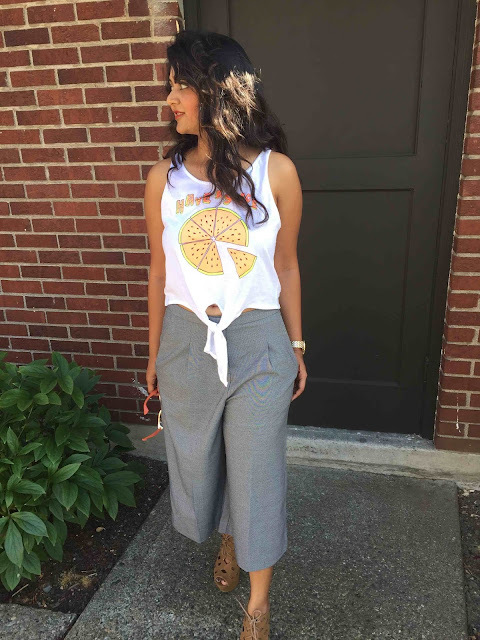 So here are few simple tips to style culottes for beginners, once you get comfortable with them you can get experimental ! 1. 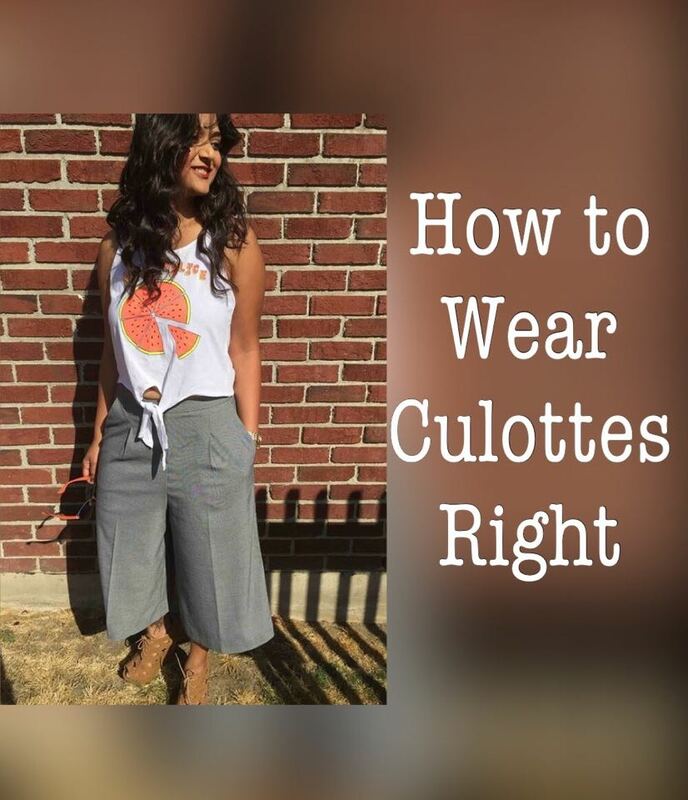 Choose Culottes from a neutral palette- Black, grey, beige etc. 2. 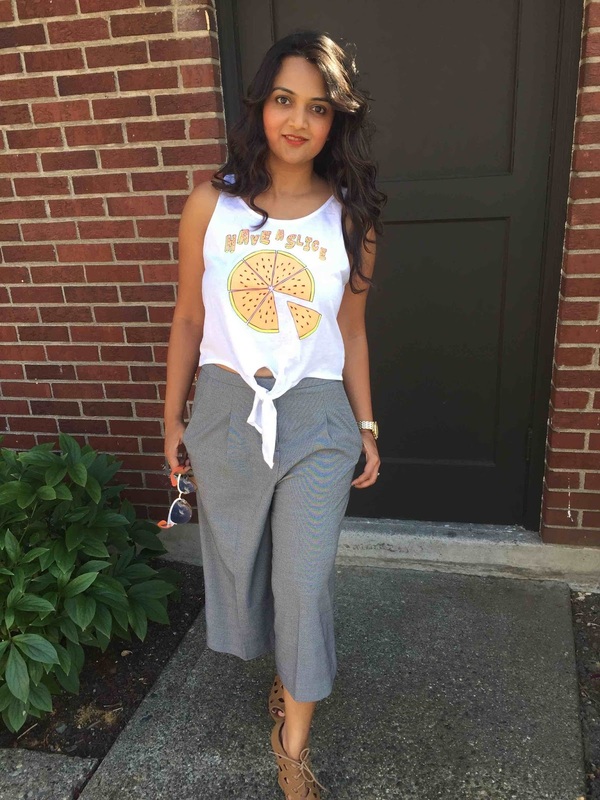 To start with keep it simple, choose either solid color culottes or one with tiny prints. 3. 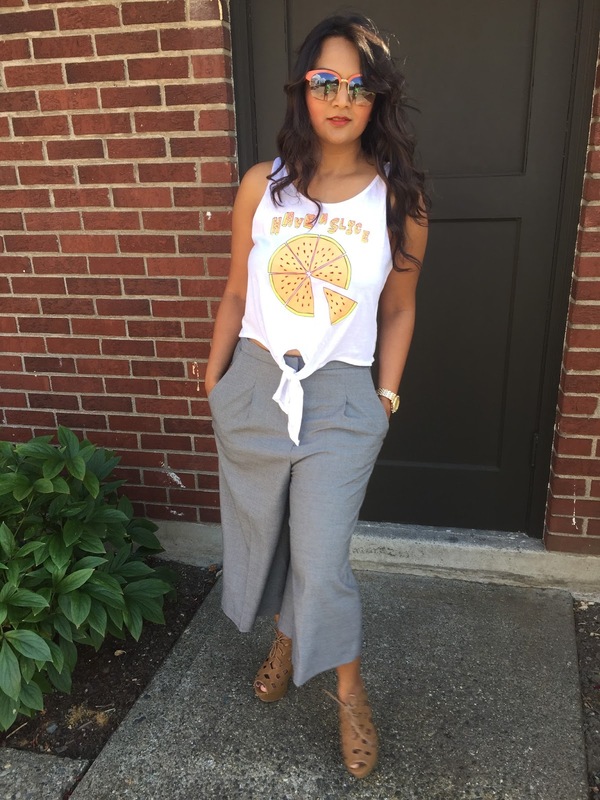 Longer length tops, shirts generally should not be paired with culottes. 4. 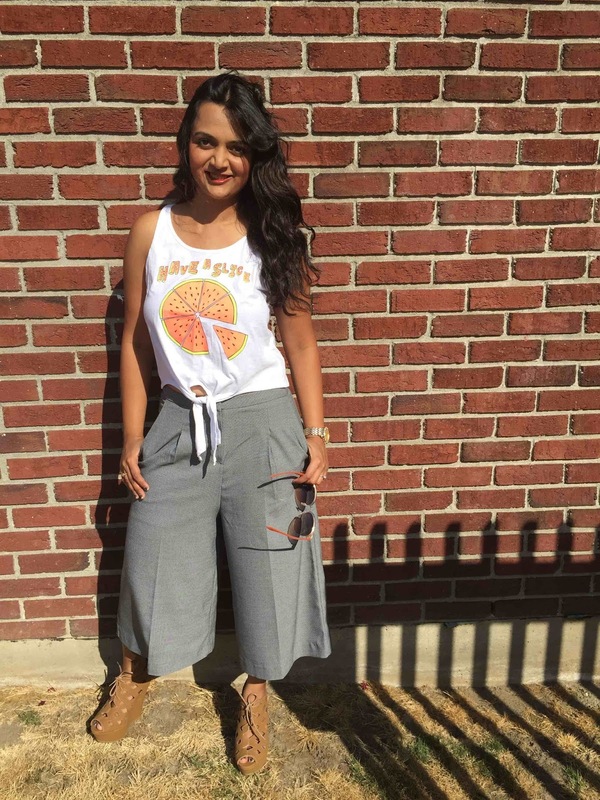 Crop tops or Short tops which end at the waistline are best options to style with culottes. 5. Always wear heels, wedges , stilettos or pumps - any footwear which adds height to your frame. 6. Pick bright colored tops/shirts. I am in love with your top. I found styling them tricky at first but now I own three. I just love them for the ease they provide. I just bought a new one http://cashkaro.com/ and this time I am going to pair with a bright top as suggested by you. I have just one pair. Super comfortable but I go mad trying to pair it with the right kind of top.